Head Coaching Changes for the 2019 Football Season. 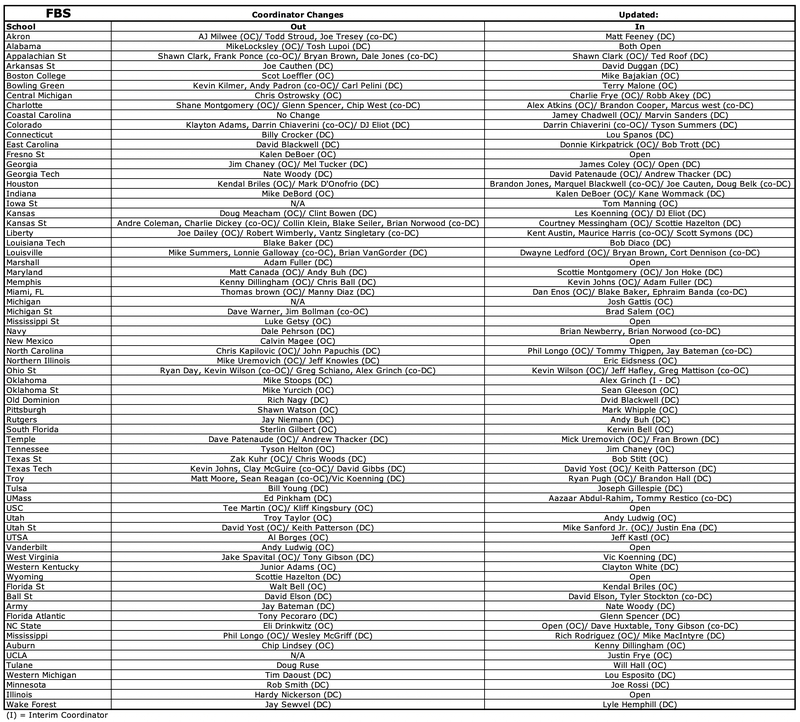 Here is the list of open FBS College Football coaching positions and who has been hired to fill them. We will update the list as new head coaching changes happen. Below we have added FBS offensive and defensive coordinator changes click here. 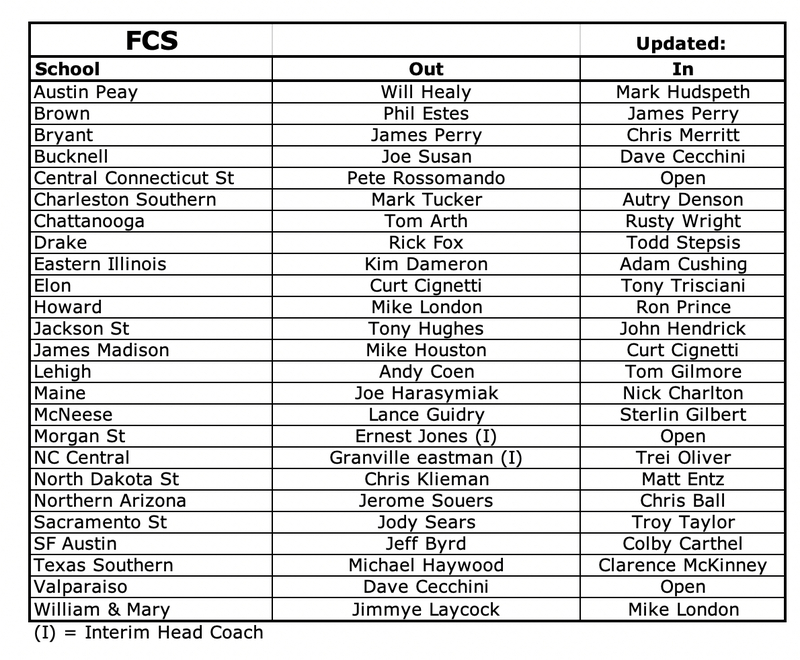 Here is the list of open FCS College Football coaching positions and who has been hired to fill them. We will update the list as the new head coaches are hired. Here is the list of open NFL Football coaching positions and who has been hired to fill them. We will update the list if there are any other changes. 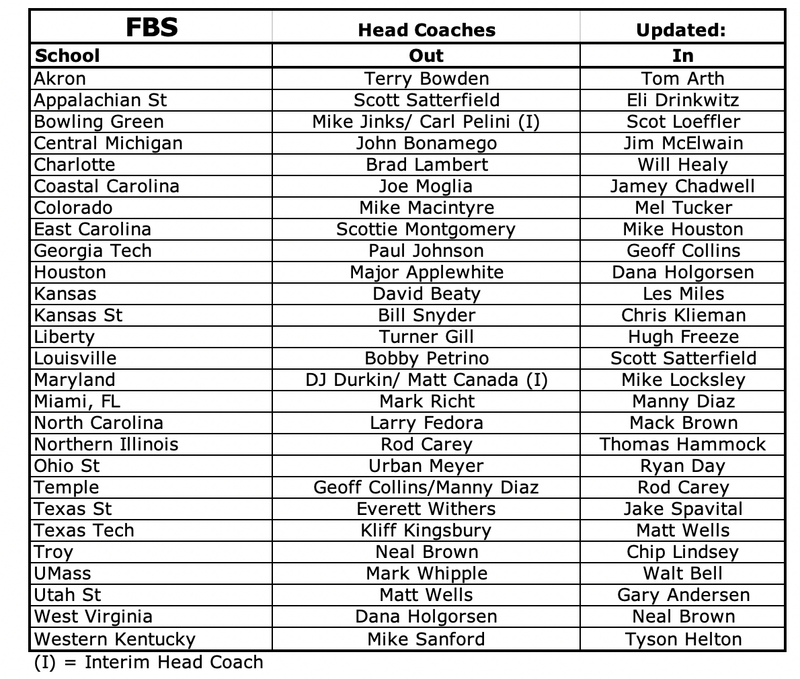 Here is the list of open FBS Offensive and Defensive Coordinator changes. As the positions are filled we will update this list.